Business owners have known for generations that a good reputation is essential for a successful business. Traditionally, this has been done by having fair pricing, good customer service, etc. And while these things still matter in 2017, there’s something else that consumer consider when choosing a business: the company’s website. A recent study found that first impressions and a company’s reputation can be hurt by an out of date website. Just as a business’s sign, store front and cleanliness influence the opinions of potential customers, so does the quality of the website. According to a recent Vistaprint report, three out of five (60 percent) consumers say they are less likely to buy from SMBs with neglected or ‘old’ websites. This problem is more pronounced for small businesses than for large corporations. First, because larger businesses normally constantly update their sites. Second, consumers who are unfamiliar with a small business will gain most of their information from the website. If the website is missing vital information, consumers will be more inclined to return to a larger brand whose site they already trust. According to the researchers, about half of consumers leave a small business website with outdated contact information. Similarly, 42 percent will leave if a website doesn’t include business hours and address information. These may seem like small things to the website owner, but the data shows it can have a significant effect on sales. So how often should website owners be updating their sites? Thankfully, customers aren’t expecting small businesses to update their website every day, or even once a week. According to the survey, 29 percent believe websites are outdated if they haven’t been updated within the previous 6 months and 25 percent say websites are outdated if not updated within the previous month. Business owners should consider two website updates a year to be the absolute minimum, and monthly updates are better but will still see outdated to some people. One way around this is to use a weekly blog with useful information on the front page, so there are always updates and people can tell the business is active. 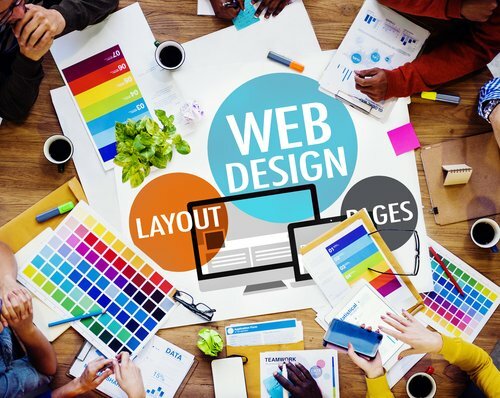 If you built your site on your own, or a very long time ago, it may be time to consider a complete redesign. Vistaprint’s research found that 42 percent of consumers are ‘unlikely to purchase’ from small business sites that are poorly designed or unprofessional. For more information about consumer preferences and how it should affect web design, read this article about how consumers respond to privacy concerns.